DURBAN is set to attract hundreds of millions of rand with the launch of its One Stop Shop which was unveiled at the Elangeni Hotel this week. Mayor of eThekwini, James Nxumalo, said the initiative would help reignite economic growth and make it easier to do business. The One Stop Shop will help improve the regulatory framework and the facilitation of development and investment in eThekwini. 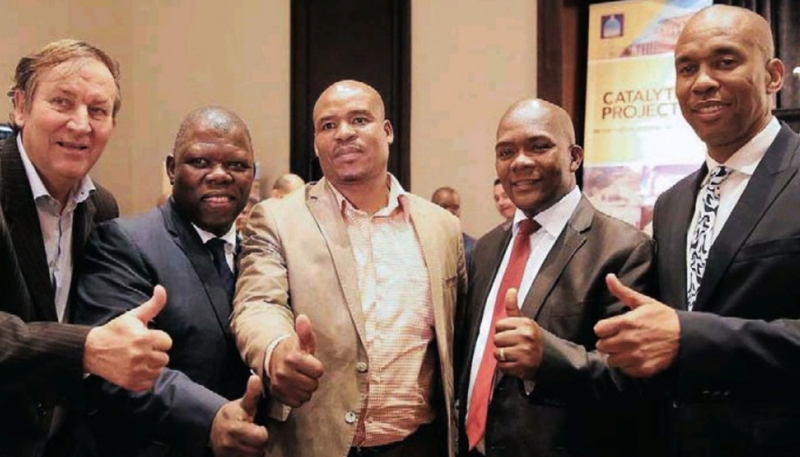 MEC for Economic Development, Tourism and Environmental Affairs, Sihle Zikalala, said in the past the constant frustration encountered by potential investors was the amount of time spent at different government departments and institutions to fulfil regulatory requirements. He said the new enterprise would not only ensure regulatory compliance but also ensure developments and investments in this city could accelerate the delivery of much-needed jobs and the stimulation of economic activity. “The One Stop Shop represents the natural progression of doing business. It is comforting that as South Africa we are also using international best practice and have already set the ball in motion towards shortening the time it takes for investors to set up operations in this country. “The launch of this initiative is not only a game changer, but marks a critical building block in our quest to improve the climate for investment to our province and to cut out red tape. “We are hoping to establish similar shops in the uMhlathuze and uMsunduzi municipalities,” he said. Nxumalo said the One Stop Shop would promote job creation and create opportunities for private sector investment while cementing Durban’s economic status globally. The co-chairman of the KwaZulu-Natal Growth Coalition, Moses Tembe, said processes that would normally take 36 months were reduced to 12 months. However, he said that potential investors and the city would need to stipulate time frames or else it would not work as effectively. “Our city can attract lots of favour if we all work together to get it done. This is especially important as we plan for the Commonwealth Games in 2022,” he said. International investor Soban Bevarah, from Malaysia, who is behind the Point Waterfront development, said this project would contribute to its economy and put Durban on the global market. “The municipality has always been helpful with our project and to know that plans could get done more swiftly is something I am looking forward too,” said Bevarah.